If you’ve ever adopted a new pet, you understand the stress and patience needed during the early days when you’re still getting to know each other. And if you’ve adopted a puppy, you may very well feel like you just had a baby. Late-night bathroom emergencies and ruined furniture is part of the experience, but all is forgiven. How could you stay mad when those two big brown eyes look at you in a way that makes you feel like only your dog understands you? With reasons beyond just the condition of your furniture, more and more companies are adopting pet-friendly policies, with many of them now allowing dogs in the workplace. Amazon’s headquarters in Seattle, Washington boasts over 6,000 dogs reporting to the office each day, with an entire floor dedicated to their wellbeing and play. Google is dog friendly, along with Cliffbar, Salesforce, Mars and GoDaddy. Studies show that a pet-friendly workplace can reduce stress, increase employee retention and loyalty and, according to a study in June by the Human Animal Bond Institute, 90% of employees who work in pet-friendly companies are proudly willing to recommend their workplace to others. 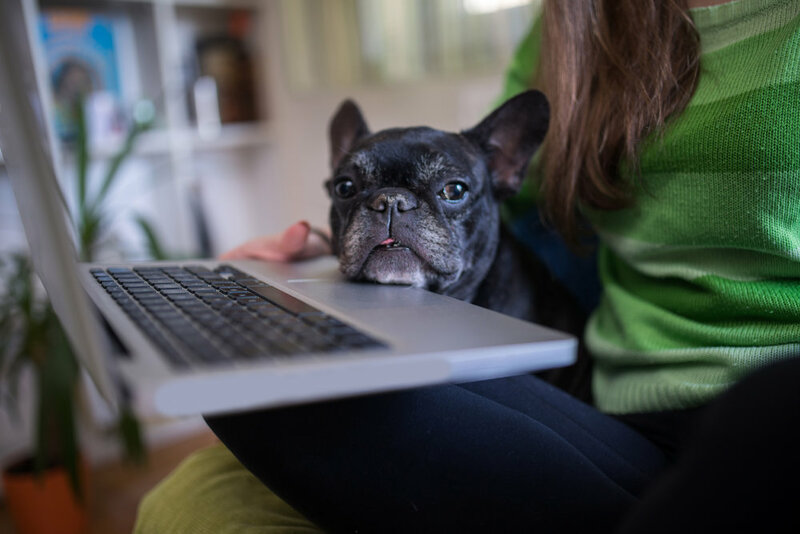 In recent months, however, new benefit trends have emerged for pet-owner employees that go beyond bringing your dog to work. One of the first companies to announce such a move was Nina Hale, a small 60-person marketing company in Minnesota who are now offering a benefit called FURternity Leave. What was that, you ask? FURternity, also known as PAWternity Leave, allows employees with new pets to take one to two weeks to work from home to encourage bonding and to help relieve the stress that comes with adopting a new pet, for both the animal and the owner alike, as they adjust to their new life together. While Nina Hale is simply allowing interested employees who have been approved by their manager to report in from home for a week or two, other companies are offering paid or unpaid leave to workers who have recently adopted a new dog. If you’re considering adding any out-of-office or in-office pet-friendly policies to your company’s benefits offerings, be sure to consult your attorney to consider the liabilities when it comes to pet allergens, as well as other important logistics. Will this benefit be offered to all pet owners, or just those with dogs? Does it only apply during adoption, or can it be applied to pet illness or pet bereavement? You may want to consider offering a more open paid time off policy, in which days can be applied in a number of ways. In the meantime, you may just want to get a padded room with lots of chew toys for Spot. You know he’s worth it. CLICK HERE TO EXPLORE OUR BLOG ON PETS AND STRESS. Want to save on pet expenses at the vet? GPA offers a program that allows your employees to save from 20% to 50% off of every veterinary visit, with no claim forms, no costly deductibles, no waiting periods, no breed/age exclusions and no exclusions for pre-existing conditions! All pets are eligible…even that chameleon your son insisted on buying! The program is inexpensive and offered through payroll deduction. Contact us for more details and pricing.